I am participating in a project started by nailsandpolkadots on instagram. 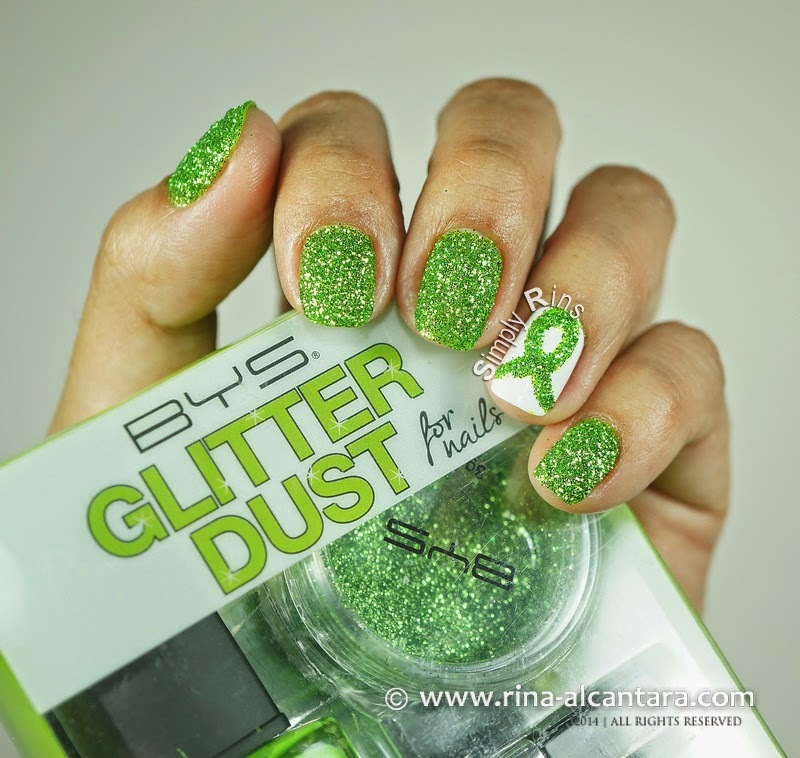 She sent out an invitation to post a green manicure today, Sunday (August 17, 2014) to help spread awareness on depression. Green is the ribbon color of the Depression Awareness campaign. 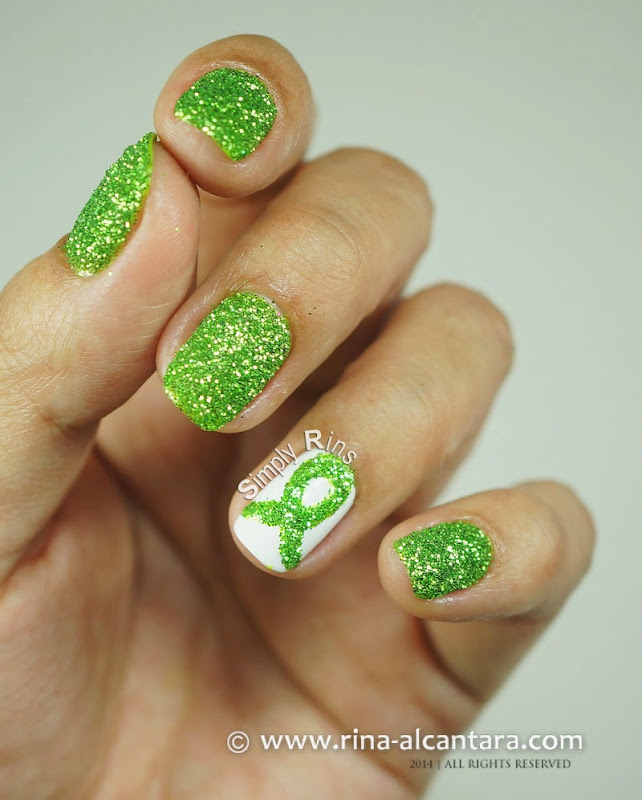 I just did an accent nail with a green ribbon in support of the campaign. The movement was heightened recently because of the death of actor Robin Williams who apparently was battling depression. I admit that there are times that I feel depress and very much alone. I do not know to what extent my depressions were. But what I am trying to say is that I could somehow relate to this illness. And from what I have been reading about the campaign, the most important thing to remember is that we are never alone. We should not be afraid to ask for help. For this manicure, I used BYS Glitter for Nails Luck of the Leprechaun kit. I figured the glitters would really look glam and attractive. 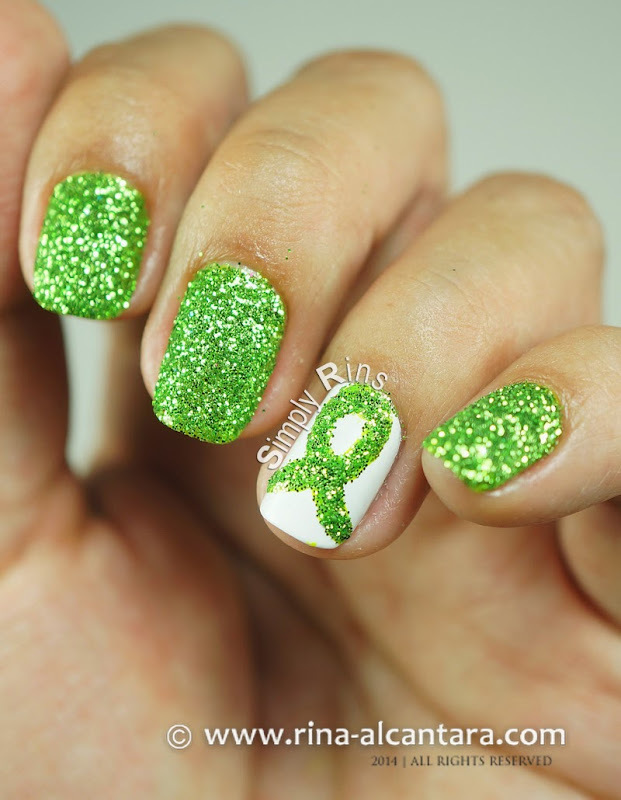 Hopefully it will make people look at my nails and see the green ribbon. If you are interested in participating on this simple project, please post your green manicures across your social media channels. It's a good way for the nail community to show its support to the Depression Awareness campaign. Knowledge is power, right? Please use the hashtag #fightforlightandlive and check out the green manicures of other nail artists.